It’s the little things that matter when someone you love dies suddenly. This was one of the most poignant moments of this year’s Bereavement Annual Conference on: ‘ All of a Sudden, the aftermath of unexpected death,’ held at Mosaic Reform Synagogue, Harrow on October 31st. 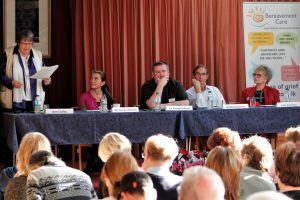 Many of the delegates, from multi-ethnic and non-religious groups and organisations, were in tears as Revd Craig Fullard spoke of Jill’s son, an organ donor and how he was treated by caring staff after his death. He said it was also about ‘thinking outside the box,’ like allowing a dying patient to be wheeled outside the hospital to say goodbye to his beloved horse. 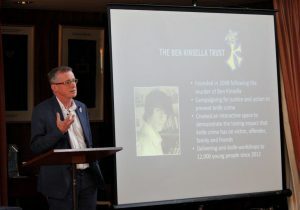 Ann Culley, chair of the Trustees for Survivors of Bereavement by Suicide, became involved in the charity after her brother, Gordon, killed himself. She said she was still amazed at the methods some youngsters chose to end their lives. Like the 18-year-old who ordered a gas cylinder or the 14-year-old who killed herself with the drug used to kill criminals in America. She said: “There are so many reasons people have: financial, mental health issues, illness, but when it happens, the main question is why. Why didn’t they talk to me, why didn’t I realise something was wrong. 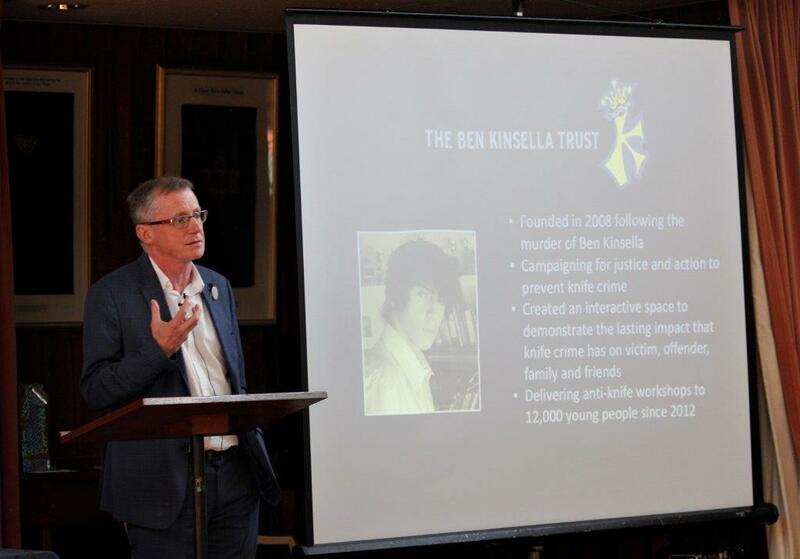 Patrick Green, chief executive officer for the Ben Kinsella Trust, set up in 2008 after the murder of Ben in Islington, gave a video showing the events leading up to his stabbing and the anti-knife campaign run by his family and in particular his sister, Brooke, who was awarded an MBE for her work. He talked about the ordeal faced by the whole family during the criminal investigation, press intrusion and abuse from the defendants’ families. He spoke about a new inter-active project in Islington which was having a positive impact on youngsters and how lessons needed to be learned before they got into trouble. DC Teresa Jimenez, a family liaison advisor with the Met, who has been involved in major incidents such as the London bombings and Grenfell Tower, said the most important thing was communication. After the speakers the delegates took part in discussion forums to explore the theme of the day and how to offer the relevant support. Judy Silverton, chair of the conference planning group, thanked everyone involved, including the sandwich and cake makers.